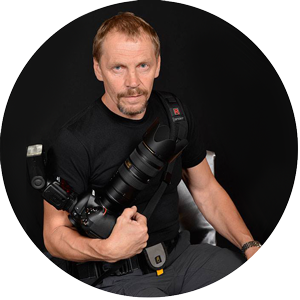 My name is Viacheslav (short: Slava), and I am Seattle based wedding Videographer and Photographer serving the entire big Seattle area and Snohomish county. I have gained a vast experience working in related media industry, at one of the leading high end advertising agencies. My professional work is highly influenced by European elegance, precision and aesthetics. Having natural talent for camerawork and capturing the scenes with artistic eye, I use your event as a source of my inspiration. My work is a mix of creative classical style and video-journalism, which allows you to get the best of what the modern wedding videography has to offer. I put special effort in maximizing the video quality while balancing the tastefulness and the technical. Your wedding day memories will be captured with accuracy and will be delivered in an artful collection of movie formats that you will cherish for many years to come. Q. What education and/or training do you have that relates to your work? A. I took training classes from world known photographers. I study modern shooting and composition techniques, it’s a continuous process. Most importantly, I am very savvy with equipment and combinations of shooting techniques/settings which many photographers or videographers in the area don’t take advantage of. Q. Do you have a standard pricing system for your service? If so, please share the details here. A. Commission for our services depends on many factors. I have designed my collections to fit various budget ranges. Please contact for availability, describe your request and I’ll give you the detailed quote. Q. How did you get started doing this type of work? A. I have a passion for photography and videography. I think it’s in my genes. Both of my parents and grandparents worked in photography and cinema industry, many of my extended family members are media artists. Q. What types of customers have you worked with? I am open to collaboration, offers and mutual projects with TV and movie production companies, as well as with private parties, public and commercial organizations, companies and entrepreneurs. The site you are visiting now is tailored to the Wedding videos, but I have been involved in a range of diverse videography and photography projects. If you’d like to learn more about other projects I’ve been doing, go to my general video site HdVideoProduction.TV. Q. Describe a recent project you are fond of. How long did it take? A. I’ve released a 12-parts nature meditative movie “Spirit of Nature II” on blu-ray. It was a big effort, conducted over 2 year period. It captures a collection of beautiful places across the state, including Cascadian mountains, Columbia Plateau, Mountain rivers, Olympic peninsula Rainforest and much more. The movie could be bought on our website. Q. What advice would you give a customer looking to hire a provider in your area of work? A. For commercials I require precise professional specs. For general orders – the more specs you provide, the better I’ll be able to fit your taste and expectations. I prefer to receive the orders at least 4 weeks in advance before the event. I am very flexible, and my equipment is versatile, so I can make really unique footages (prices vary). My turnaround is faster than average. I also offer wedding photography service. Q. What questions should customers think through before talking to professionals about their project? A. Shooting can not be done by anybody. One has to have experience/skill and talent in order to create really good quality videos. It’s more than just holding the camera. Also, during weddings, it’s challenging to share the space and the view priorities with photographers (and vise versa). It’s more challenging for a camera man to create a continuous wedding documentary, than for a photographer – to create discrete imagery.